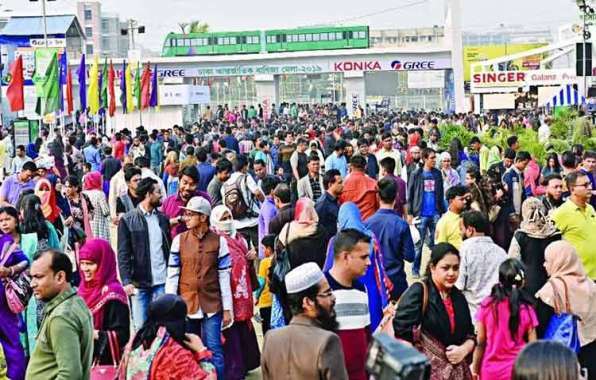 The month-long 24th Dhaka International Trade Fair 2019 concluded on Saturday at the Sher-e-Bangla Nagar in the city fetching over Taka 200 crore export orders. This was disclosed at the concluding ceremony of the fair that began on January 9 and ended today with the participation of some 605 local and foreign firms. Commerce Minister Tipu Munshi spoke at the concluding ceremony as the chief guest while Parliamentary Standing Committee Chairman on Commerce Ministry Tofail Ahmed spoke as special guest. Tipu Munshi said there is no alternative to boosting the country’s exports for moving forward the country. “Our export business still now depends heavily on the RMG sector, but there are more promising and potential export sectors in the country. We’ll have to give our attention there”. He also underscored the need for infusing dynamism into some promising sectors like pharmaceuticals, furniture, leather, ICT, agricultural products, and ship building. 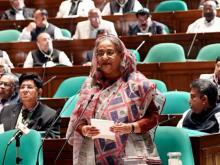 Mentioning that the government of Sheikh Hasina has been working tirelessly to boost the export trade to earn more foreign currency, Tipu said that DITF mainly witnesses huge buying and selling of various products. 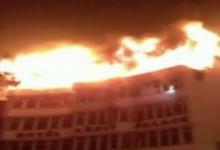 “But, still it has been able to fetch over Taka 200 crore export orders. If there is a separate export fair in place, then it would be possible to get more export orders,” he added. The Commerce Minister also informed that a permanent exhibition center is being established at Purbachal where various types of fairs and exhibitions would be held round the year. “Country’s population is growing day by day and the DITF is being held every year on some 36 acres of land. We’ll have to think for much bigger place in the future in this regard. Our Prime Minister Sheikh Hasina has been working relentlessly to build ‘Sonar Bangla’ as dreamt by Father of the Nation Bangabandhu Sheikh Mujibur Rahman,” he added. Former Commerce Minister Tofail Ahmed said Bangabandhu had awarded the nation independence and her worthy daughter Sheikh Hasina has been working with utmost success for the economic emancipation of the country. “Bangladesh is now moving ahead speedily and it is now well ahead of Pakistan in all fields, even ahead of India in some fields. We’ll have to work together for ensuring the economic emancipation of the country,” he added. Out of the total number of 605 enterprises that took part in the fair, there were some 52 foreign firms representing 22 countries. Some 42 best performed organizations were given trophies in 13 categories. Besides, some 33 associate organizations were given crests while the highest VAT paying 3 firms were also awarded.